Lillie E, O’Donohoe L, Shamambo N, Bould D, Ismailova F, Kinnear J. Peer training and co-learning in global health care. Clin Teach 2015;12:193–6. Bould MD, Clarkin CL, Boet S, Pigford A-AE, Ismailova F, Measures E, McCarthy AE, Kinnear J. Faculty experiences regarding a global partnership for anesthesia postgraduate training: a qualitative study. 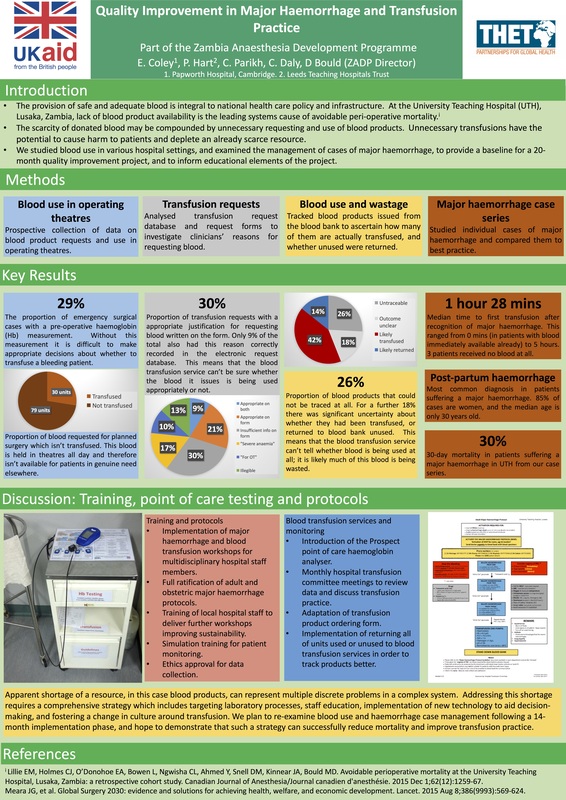 Can J Anaesth 2015;62:11–21. Holmes C, Lillie EMMA, O’Donohoe EA. 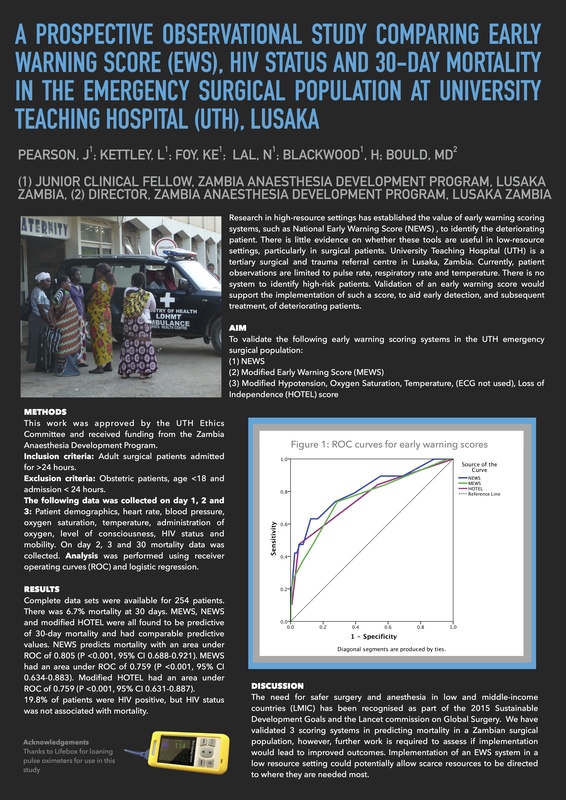 The Zambia Anaesthesia Development Project – 18 months in…. World Anaesthesia News 2014; 14(2):21-22. Kinnear JA, Bould MD, Ismailova F, Measures E. A new partnership for anesthesia training in Zambia: reflections on the first year. 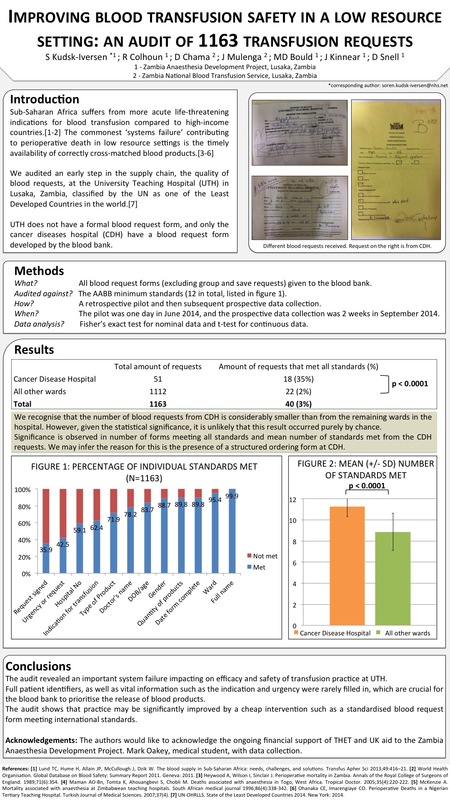 Can J Anaesth 2013;60:484–91. Oates N. Lessons from Africa. ANZCA Bulletin March 2017: 74-76. Foy KE. 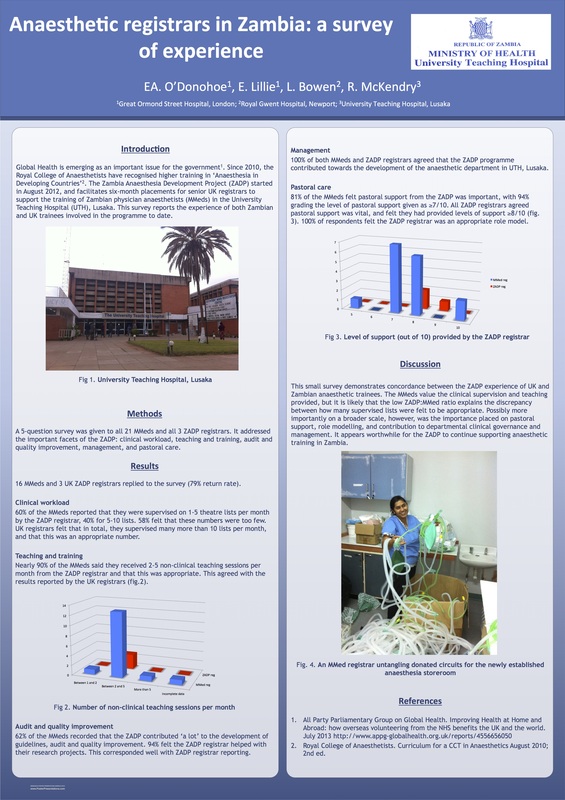 Improving Airway Safety in the University Teaching Hospital Intensive Care Unit, Lusaka, Zambia. Difficult Airway Society Newsletter Autumn 2017: 9-10. 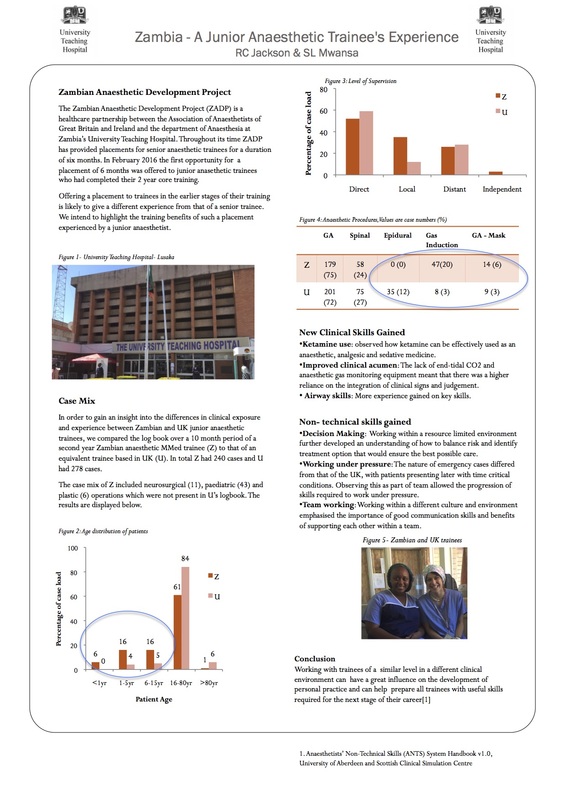 Akrimi S. Sharing Medical Knowledge in Africa. In Touch, the Global Issue Autumn 2017: 8. Janowicz A, Kasole T, Measures E, Langley M, Goma F, Ismailova F, Kinnear J, Bould MD. 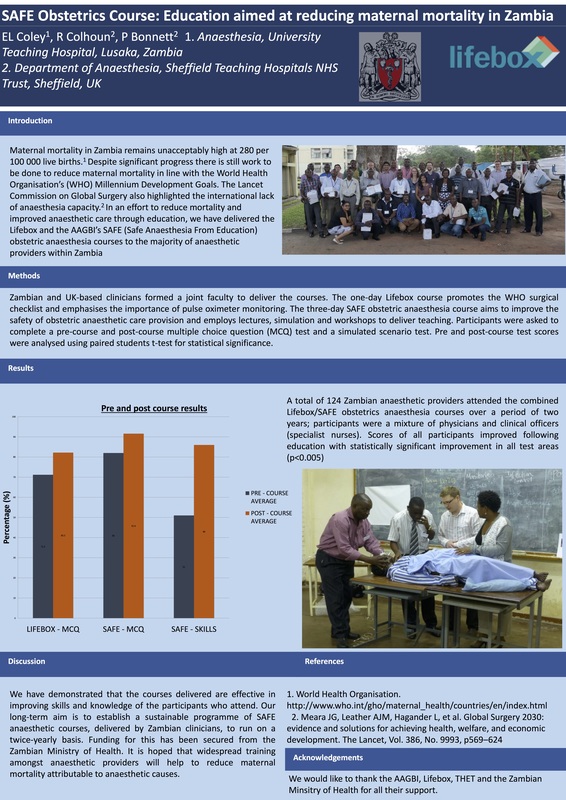 Development of Education and Research in Anaesthesia and Intensive Care Medicine at the University Teaching Hospital in Lusaka, Zambia: a descriptive observational study. 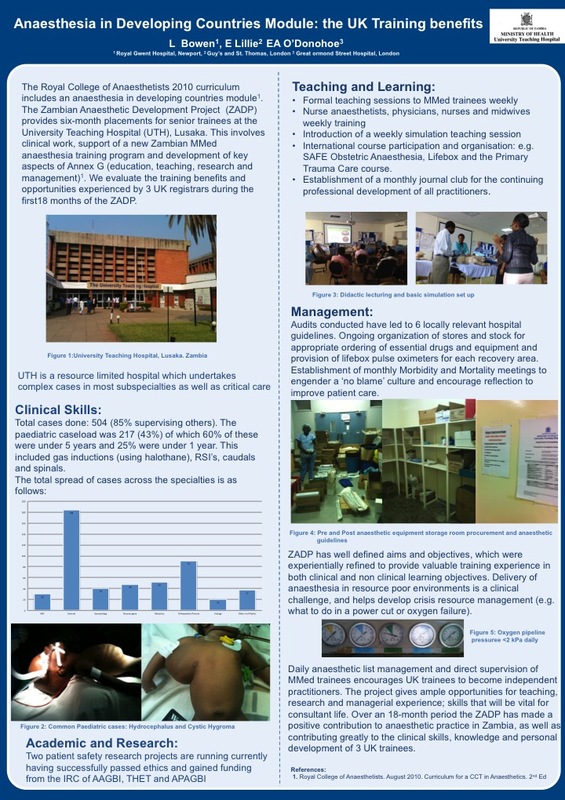 Clunies-Ross N, Kabwe J, Kinnear J. Anaesthetic training in underdeveloped countries: what is the role of junior trainees? Anaesthesia News Nov 2014; 328: 16-17.